After 25 Years Of Research Tim Maltin"s "101 Things You Thought You Knew About The Titanic...But Didn"t"
A sensational new book on the Titanic is set to bust every fact you ever thought you knew about the world's most famous sinking ship. 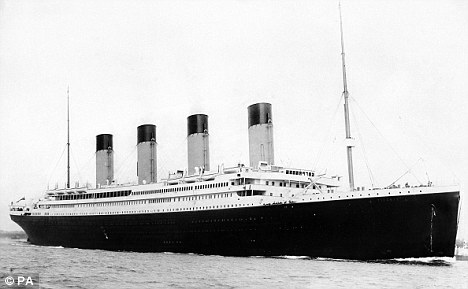 Tim Maltin's '101 Things You Thought You Knew About The Titanic...But Didn't!' puts the record straight - revealing astonishing facts about the unsinkable ship that sunk. The book reveals that had the Titanic hit the iceberg head on it would have been saved and that men were shot in its fatal last minutes for refusing to get out of overcrowded lifeboats. And had the lookouts been equipped with binoculars they still wouldn’t have seen the iceberg - because the naked eye was more effective. 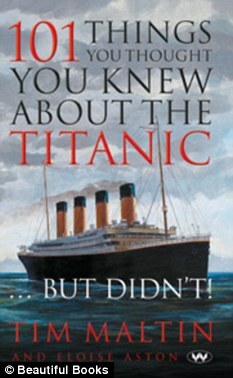 Just some of the other ground-breaking myths spectacularly busted by Tim include: The disaster being predicted 14 years before it happened by writer Morgan Robertson, the ships distress signal gave the wrong position by over 10 miles, more third class men were saved from the Titanic than first class men, and more men were saved from the Titanic than women. It has taken Titanic fanatic Tim 25 years of painstaking research to piece together the fateful events of April 15 1912 – which killed 1,500 people. His love affair with the famous cruise liner was sparked by the film 'A Night To Remember' which he watched repeatedly as a seven-year-old. But the more he read about the ship, the more he realised he knew nothing of the tragic events that unfolded in the icy waters off the coast of Canada. Undeterred, the author from Wiltshire, set about reading every single transcript from the public enquiries held into the disaster - which totalled 200 documents, 50,000 questions posed and 150 eye witness accounts. And after two-years of solid work compiling the book, Tim hopes the record can finally be put straight. The 38-year-old author said: 'Ever since I was seven I have been gripped by the Titanic and what happened. 'But I realised that years of storytelling has turned the true facts into myths - much like Chinese whispers. 'Films and TV shows have also created bizarre myths, which have just passed into public knowledge. 'So I decided to go through the testimonies of the people actually there one by one, reading every word and sometimes reading them again. 'Because these people were talking when it was fresh in their memory I have been able to rebuild the true events of April 15, 1912. With the 99th anniversary of the disaster this Friday - Tim has picked timely moment to launch his new book which is available for £8.99. Last week, the Hudson River Valley Greenway unveiled its Hudson River Valley National Heritage Area Heritage Site Guidebook that provides information about 100 “Heritage Sites” in New York’s Hudson River Valley. The presentation was held at the Senate House and Museum in Kingston, one of the venues featured in the guidebook. 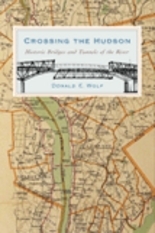 The guidebook encourages visitors to explore the resources of the Hudson River Valley and visit local communities that they encounter along the way. In addition to descriptions and full color photographs for each site, contact information is provided in a variety of formats (address, GPS coordinates, website, and phone number) to help visitors reach their destination as easily as possible. Furthermore, sites are identified as being "family friendly," "accessible by public transportation," or "part of the regional Greenway Trail System" to facilitate visitation. Those sites participating in the National Park Service Passport Stamp Program are also identified to provide visitors the opportunity to acquire cancellation stamps at no cost. Visitors can explore the region by topic of interest with Heritage Area theme information included for each Heritage Site such as “Architecture,” “Art, Artists, and the Hudson River School,” and others. Heritage Sites in this guidebook are also organized by proximity to one another for visitors who wish to explore a variety of sites as they travel throughout the valley. The Heritage Site Guidebook is expected to encourage heritage tourism in the Hudson River Valley National Heritage Area. Heritage tourists have been shown to spend more on trips than other types of tourists. By targeting heritage tourists, this guidebook will help grow the $4.7 billion dollar tourism economy in the Hudson River Valley. “The cultural, historic, and scenic attractions of the Hudson River Valley are so numerous, so varied, and so compelling that it is little wonder the Valley has become one of the nation’s most visited by heritage tourists," said Congressman Maurice Hinchey who led the effort to create the Hudson River Valley National Heritage Area. "This guidebook is a treasure that will help unlock a hundred treasures as it guides visitors throughout this beautiful region to the sites and attractions that many of us have already come to know and enjoy." The Heritage Site Guidebook features over 100 pages of information about the sites and themes of the region and costs only $9.95 plus shipping and handling. Within the Palisades Region, this guidebook will be sold at the PIPC Visitor Center (845-786-5003) located between exits 16 and 17 on the Palisades Interstate Parkway and at selected gift shops throughout the park. Your companion to exploring the Valley’s nationally significant historic and cultural resources! Each of the Heritage Sites you see included on this website are featured in this portable guidebook. In addition to site descriptions and full color photographs for each site, contact information is provided in a variety of formats (address, GPS coordinates, website, and phone number) to help you reach your destination as easily as possible. Furthermore, sites are identified as being "family friendly", "accessible by public transportation", or "part of the regional Greenway Trail System" to help you better plan your visit. Those sites participating in the National Park Service Passport Stamp Program are also identified to provide you the opportunity to acquire cancellation stamps at no cost. Enthusiasts who may wish to explore the region by topic or significance will find that theme and category information are included for each Heritage Site. For those who may with to explore a variety of sites as the travel throughout the valley, Heritage Sites in this guidebook are organized by proximity to one another to help identify where nearby sites may be located. The Hudson River Valley National Heritage Area Heritage SiteGuidebook features over 100 pages of information about the sites and themes of the region and costs only $9.95 plus shipping and handling. It is doubtful that many of the occupants of the 100 million vehicles that cross the George Washington Bridge every year, or those in the 200,000 vehicles that speed through the Holland and Lincoln tunnels every day, give much thought to the men who created, designed and built these structures. It is enough to get over or under the Hudson River in time for work or play. But Donald E. Wolf, himself an engineer, has undertaken the task of revealing the names of these brilliant architects — and the social and political times in which they lived and planned — in a beautifully written, richly researched and illustrated text even a commuter can admire. Although Wolf writes about the crossings up and down the river, readers are likely to be more interested in the ones they use each day. A word about the Holland Tunnel: It was named for Clifford Holland, a Harvard-educated engineer who died of a heart attack at age 41, two days before the tunnel made its breakthrough. Tom Mackin is a reviewer from Lakewood. The Senate House: Kingston, NY. 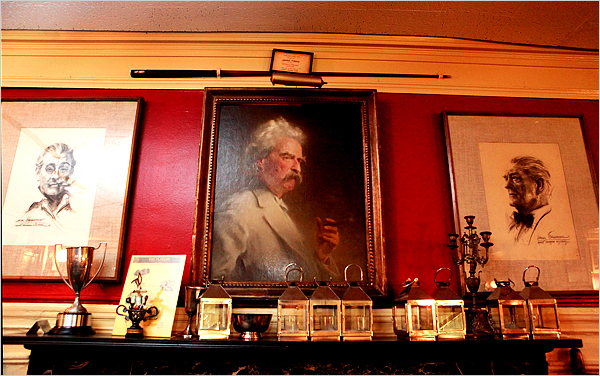 In a unique collaboration, the New York Council for the Humanities has joined forces with the Senate House State Historic Site, located in uptown Kingston, to offer Reading Between the Lines: Cultural Crossroads at the Hudson River Valley, a free reading and discussion series that runs from March through July 2010, meeting once a month on Saturday afternoons. "Reading Between the Lines offers an unusual twist on the standard book group format since it will focus thematic discussions led by humanities scholars," says Council Executive Director Sara Ogger. At the Senate House, A.J. Williams-Myers, Professor of Black Studies at the State University of New York, New Paltz will lead this particular series discussion using the following books: Les Sauvages Américains: Representations of Native Americans in French and English Literature, by Gordon M. Sayre; Possessions: The History and Uses of Haunting in the Hudson River Valley, by Judith Richardson; The Jesuit Relations: Natives and Missionaries in 17th Century North America, edited by David Alan Greer; and Long Hammering: Essays on the Forging of an African American Presence in the Hudson River Valley to the Early Twentieth Century, by A.J. Williams-Myers. All books will be available for loan to participants. "Senate House is delighted to offer this opportunity to explore and discuss the cultural and historical richness of our area with an important history scholar who is also the author of one of the books to be read," says Pam Malcolm, site coordinator of the series. "We are very grateful to the New York Council for the Humanities for making this program available free of charge for the public in our region, and we invite anyone interested in taking part to contact us for the details by telephone to (845) 338-2786, or by email:pam.malcolm@oprhp.state.ny.us. In addition to the book discussions, Senate House staff will offer a brief presentation of a related artifact or document from the site's collections at the end of each session, so that participants can get a taste of the site's historical treasures. For more information about Reading Between the Lines: Cultural Crossroads at the Hudson River Valley visit: www.nyhumanities.org/discussion_groups or call (845) 338-2786. The Senate House State Historic Site is part of the Palisades Interstate Park Commission, which administers 28 parks, parkways, and historic sites for the Office of Parks, Recreation and Historic Preservation in New York as well as the Palisades Interstate Park and parkway in New Jersey. For more information about New York State parks and historic sites, please visit www.nysparks.com, for information about the New Jersey section of the PIPC please visit www.njpalisades.org, and for more information about the Palisades Parks Conservancy and the Palisades Interstate Park parks and historic sites, please visitwww.palisadesparksconservancy.org. with a Little History Thrown In! and Author of "Their Last Suppers." Have someone on your gift list that loves History? 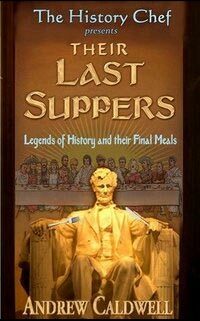 Please Join For this Book Signing By Andrew Caldwell - (www.thehistorychef.net) Chef and Author of Their Last Suppers. The event will be from 5-8PM Wed Dec 16th - Andrew Caldwell will conduct discussions on his book and we'll have a wine tasting with finger foods.